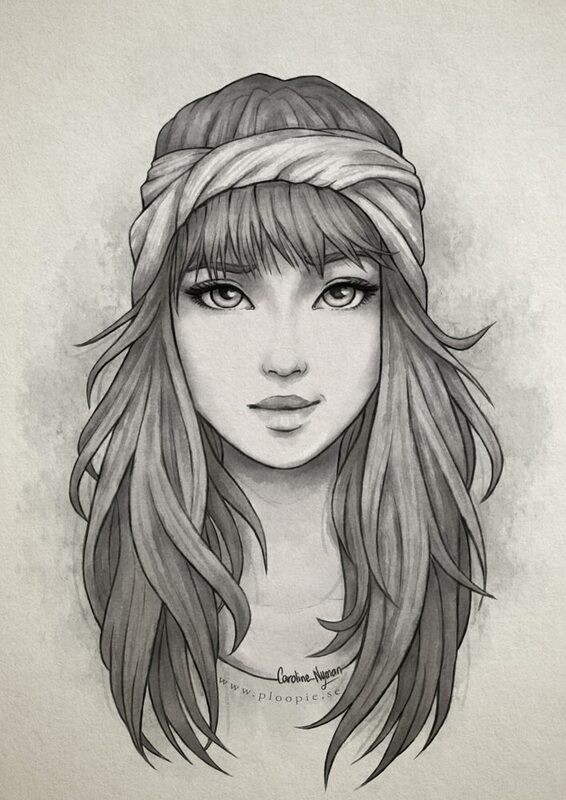 Not much to say hehe, a random portrait drawing of a girl. Here you can see my 3 steps from lineart to simple shading to final image. Sadly I can't show you the sketch because I forgot to save it before I made the cleaner lineart.